Everyone likes to take snaps or draw something and upload it on social media platform without hesitates, don’t you? 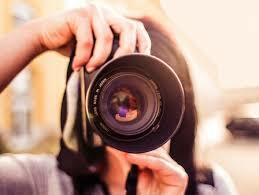 If we bought a camera, most of us usually started taking photos like a professional photographer. Even those of us who aren't very good at photography, love to have a go at capturing a few special moments with our cameras and phones. Sincerely, when we observe carefully capturing of Scenes, Landscapes, Portrait, Places, etc. is just a waste of time unless we know the tricks of how to sell our photos. Yes indeed some photographers are earning real money by selling frames and mementos, but I should disclosed this, since they don’t know how to sell their photography for long-term income, they spent or invest huge amount of money to buy raw materials for making a single frame. As a result, of this market price is higher than the quality of the product. Anyway, today let me tell you how to earn money from selling your photos for lifetime income. If you have a camera you can start right now, in case if you don’t have let me show you the way so that you can prepare for your next profession. But remember, you should not expect that with this business you will buy a house in one week. Why don’t you sell your photos online?” Did you capture or drawn those photos just to store in your hard drive? “LOL” I don’t think that you got your camera freely. Yes there are several ways you can sell your photos online, but I’ll show you the most legitimate ways without big investment. Some people make money by building up a popular online portfolio of photographs and selling advertising space next to them. Another method is to sell your photos for use on merchandise such as t-shirts, cups and calendars. Moreover, some photographers build up a gallery and sell photographs directly to private clients - or make money from doing photo shoots once their name becomes well known. Who will buy your photos? There are tons of people who need to use photos and images everyday on websites, in magazines and brochures, on posters and elsewhere - and they are willing to pay photographers for the right to use them. Anyone who has a decent camera and a good eye for a photo opportunity, even for student selling photographs online can be a good way to make a bit of extra money without a great deal of effort. Well, one of the best ways to get started making money from photographs online is by taking advantage of stock photography websites. Those who already have their own camera you don’t need to spend money anymore, but the only thing you have to do is to 1. Sign-up at stock website 2. Upload your photos and 3. Just wait for the approval with humble patient. But before you start make sure that you have read all the terms and conditions of the website so that your photos will not be rejected. For your best startup and according to my experiences I’ve selected few most popular stock website. You can register freely. Each stock photography website has slightly different rules and guidelines about what photographs they are looking for and what they will be willing to accept. For example, there are strict rules about ownership and copyright issues on any photographs you submit. If there are any recognizable people in your photographs then you will have to ask them to sign a Model Release allowing you to use them in the image for commercial purposes. Similarly, there are rules which will prohibit you from using photographs which contain certain building, logos and brands. Also, all of the different stock photography websites have their own commission rates and payment structures, so it's worth taking some time to read the small print to see which stock photography websites would most suit your style of photography - and which will make you the most money. But from the above lists of stock websites I would recommend Fotolia for beginners, at the very first target you may not understand the structures of each website properly so try fotolia as your first trial, according to my experience this website is the easiest and most uploads get approved when comparing to other websites. Learn from failed submissions. Most websites give reasons why a particular photo was not accepted to their database. Take note and work on improving future photos. Touch up your photos with editing software - but not too much! Usually you will have to reach a minimum threshold/earning of minimum $100 dollars before you can request the money from them. But some website accepts $20, $50 etc. Most of the sites will pay you out by a variety of methods such as Paypal, bank transfer or cheque. You'll probably have to learn to deal with a bit of rejection at the start of your stock photography career. Many of your photographs could well get rejected, but it may not be because your photography just isn't up to scratch. All of the stock photography websites have a very good idea which types of images their customers are looking for - so they won't just accept all of your photos if they don't think many people from their typical user base will buy them. You aren't going to get many photographs of you and your mates down the pub accepted to stock photography websites - that's just not the sort of thing that people tend to be looking to buy from stock photography websites. Many people who purchase photos and images from the stock photography websites are looking for photos they can easily republish elsewhere. Lots of the most successful stock photography can involve very simple images on white backgrounds. For example, lots of people look for very simple photos or images of dogs or cats which they can Photoshop onto a different background. Quite often, the simpler the photograph, the more successful it will be on the stock photography sites. Over time, you will start to learn which of your images are selling in the highest volume - and for the most money - so you can start to build up your portfolio in a more targeted way. So, guys what are you waiting for get started right now. Remember, the earlier you act the faster you’ll earn. Thank you for reading my blog. If you have any question please leave your comment.